Visit a Moving Sale or Garage Sale to find some great furniture at a reasonable price. So you've just moved to Melbourne and have found somewhere to live but don't know where to find furniture? Never fear, there are many options and some of them can lead to exploring and getting to know Melbourne itself. Before you start looking the most important thing to do is write a list of furniture you want with the price you're willing to pay for each item. This will ensure you don't end up with all sorts of things you don't actually need and that you stick to your budget. 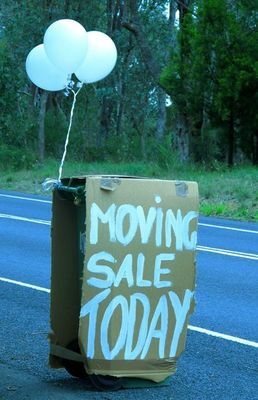 Every weekend in and around Melbourne you'll see handmade signs crowding roundabouts or hanging from street signs proclaiming that there is a Garage Sale or Moving Sale nearby. Garage Sales are where people who are overloaded with items they no longer need sell them at what is usually a very reasonable price. If you don't want to spend your weekend driving around looking for signs you can check out eGaragesales which has details of locations around Melbourne. Both Gumtree and E-bay have furniture items online for sale or auction. Ziilch has free items people want to get rid of around Melbourne and you can also list items you need on their website. 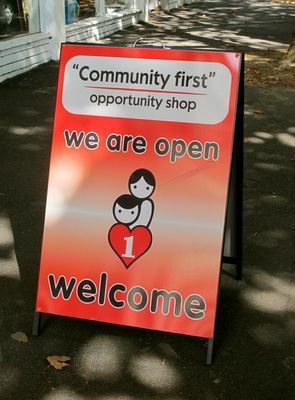 Some op shops and charity shops are big enough to stock furniture and household items. There are many SAVERS stores in and around Melbourne, all of which stock furniture and household items. If you're looking for something particularly quirky or vintage you should check out The Mill Markets at a variety of locations around Melbourne. At the Mill Markets you will find an ever-changing range of secondhand vintage items stocked by individual stallholders. 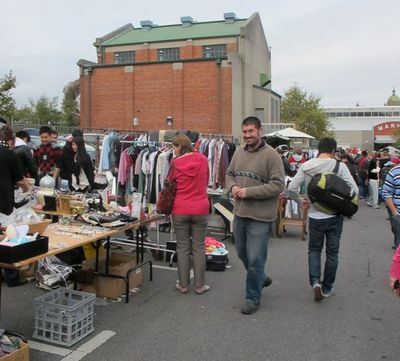 Vist the Camberwell Market and Car Boot Sales for some original furniture items. The Camberwell Market, held every Sunday in the carpark at the rear of Burke and Riversdale roads, Camberwell, has a brilliant range of vintage and antique furniture. There are also many Car Boot Sales around. Details can usually be found in the classifieds section of your local paper and on billboards outside churches and schools. So sit down and start writing a list of things you really need for your new pad. You'll be surprised at what you can find to fit within your budget. Where: Around Melbourne and surrounding suburbs. Cost: Depends on the items you choose to buy and your budget. Checkhttps://www.allus.com.au for top cheap furniture.